Curley is a young man who’s been learning to use his words. In fact, Papaw, his grandfather and legal guardian, gives him a word each week to contemplate and get comfortable with. They live in Kentucky coal country, and Curley lost his entire family because of coal mining. Investigating the mountain wildlife for a school science project, Curley and his two friends are drawn deeper into the life of the mountain itself, trying to save the mountain for an increasing number of reasons. They discover elk that were never meant to live in Kentucky, the type of destruction their mountain is due to experience, and a connection to the Native Americans from the area. With the story set in the present day, the young people also learn of the power one person can have with the help of social media. Life goes on, though it may not go the direction you hope or expect. 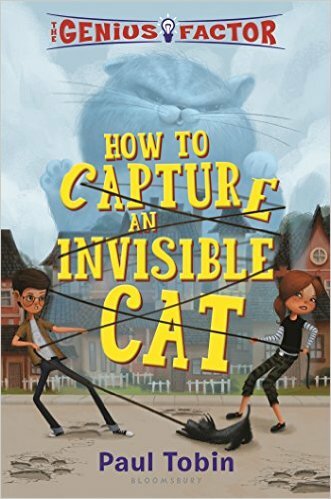 The characters ring true to life and the story is fun and exciting. This story will fit in nicely to a unit on environmental impact or just as an exercise in the power of vocabulary. Many reading activities are suggested by the report the characters assemble and by the other actions they take, including creating videos and posting them on the internet. Red Death Tea Society, giant invisible cats, and talking dogs are some of the less outrageous elements to this raucous story of a sixth grade genius, Nate, and his new friend, Delphine. Delphine is welcomed as a friend partially because Bosper, Nate’s talking dog, decides she smells like a friend. Occasionally, Nate does stupid things just to shake up his world. One of his stupid things was to make his mother’s cat, Proton, invisible and giant. Nate hid the formula for returning to normalcy throughout the city, and he needs Delphine’s help to retrieve him. Meanwhile, his archenemies, the Red Death Tea Society try to clock his efforts. Encounters with toads, hippos, and skydivers are orders of the day. 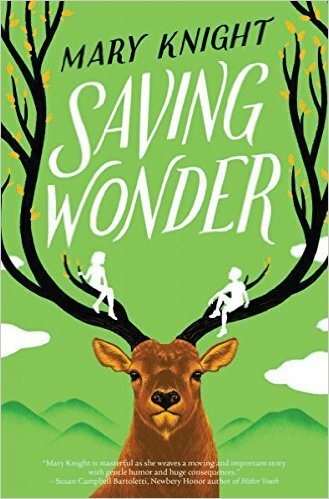 With a smattering of real science and a whole lot of fantasy, this is a great read for fourth graders, especially with a teacher or parent to help separate the fact from the fantasy. The wild humor is sure to hold attention and propel Proton back where she belongs. Because Nate and Delphine have a unique friendship, readers will learn about the possibilities among friends who don’t necessarily spend every day together. When you go for a walk, do you usually have to worry about polar bears? Not as long as you’re not walking alone to the north pole. But that’s exactly what Helen Thayer did in 1988. 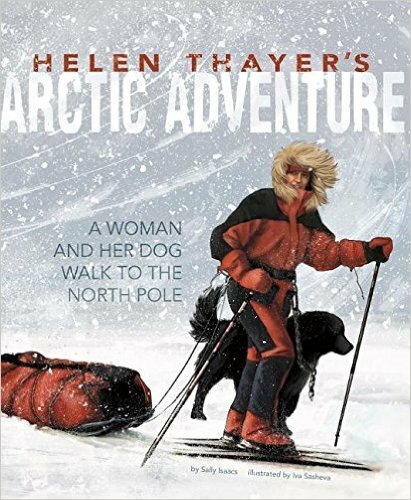 Helen was a mountain climber and adventurer who was always looking for a new challenge. When she reached the drop off point – a small village in northern Canada – a hunter insisted she take one of his dogs, Charlie, with her. It was a good decision, as the dog provided some protection against a bear and added warmth during a blizzard. Winds blew away many of her supplies, but Helen and Charlie reached their destination and were able to radio for pick up. Detailed and accurate illustrations help to make the story come to life and become accessible to students. Reading the story aloud with a class would stimulate discussion on the perils faced in an arctic environment. Reading activities could include imagining what supplies need to be taken on such an expedition and how much they would weigh.